I saw over at Melissa's blog that Meredith is doing 10 on the 10th! While I don't think I can come up with a theme of 10's, I can come up with a list! I love me some lists. Especially when I can mark out all the "done" items with my Sharpie. Because a line with a regular old pen doesn't feel quite as completed or final as the bold line that comes from a fresh, saturated Sharpie marker! 1. I laugh when I have to tell a certain someone "There is no fighting in Chess Club." 2. I laugh even more when that certain someone is the only kid I know that would require first aid due to injuries sustained in CHESS CLUB! 3. I wish there was a fun song about persimmons like there is about beans. So eat more beans with every meal! 4. I have had songs from The Sound of Music running through my head this week. First from I Heart Faces and their My Favorite Things theme. And then whenever I visit my friend Lainie at MishMashMaggie. The web names for her kidlets are Leisl, Brigitta and Kurt. Does that not force you to come up with ALL of the Von Trapp children's names? 5. And NO CHEATING by googling it! Go ahead... I can wait. I have often called my sisters in the pre-google days because trying to remember the names was driving me CRAZY. 6. I had to throw away an entire chuck roast today because it was hiding in the back of my fridge, still in the Kroger bag. I hate wasting, especially meat! 7. I am a stickler when it comes to expiration dates on meat. That and #6 is the reason why I am cooking babyback ribs at 10:00pm on a Saturday night. 9. We listened to the audio version of "A Cricket in Times Square." I was not impressed. I mean, it was entertaining and good enough for driving around town, but it wasn't stellar (like Narnia, My Father's Dragon, By the Great Horn Spoon or Henry Huggins). I really am shocked that it is included in so many book lists! 10. Twice this week, my boys have BEGGED to have ramen noodles for dinner. Honest. I said okay but told them not to turn spoiled by such magnificent feasts from my kitchen. I've got the Sound of Music songs in my head, because the Littles LOVE that movie and watch it multiple times! annoying. lol! And... what is wrong with Ramen noodles as dinner? I LOVE ramen noodles. Grammy always used to make them when I went to her house... no one makes them like Grammy. ;) they are also really good on salad like a crouton almost. oh, yay, i get to be the first to name all the von trapp kids. and i know i would remember the names even if i *hadn't* watched the movie less than 2 weeks ago. because i can't remember to get wet laundry out of the washer (or use the meat that's been languishing in the frig), but i can remember trivial things like that. There is NO way I could come up with all the Von Trapp children's names...but I COULD sing every song for you, word for word. I'm sure you'd rather me list their names and get it over with. Hey, thanks for playing along this month. I loved your list. Hope you're having a terrific weekend! Ok out of all your # items...I can't believe you didn't LOVE A Cricket in Time Square! We read it aloud and LOVED it!!! Even Dh heard some of it at one point and got hooked! Maybe ya'll weren't "in the mood" or distracted too much while listening! :) We even read a couple of the sequels! i cannot name all the vontrap children. but i can sing do re mi... whatever that song is. i was singing it wednesday. Henry Huggins!!!!!!! I have a copy of "Henry the Dog Holder", from the 1960's. I read that book over and over. I have the movie... can I look it up on there? All I remember are the songs. 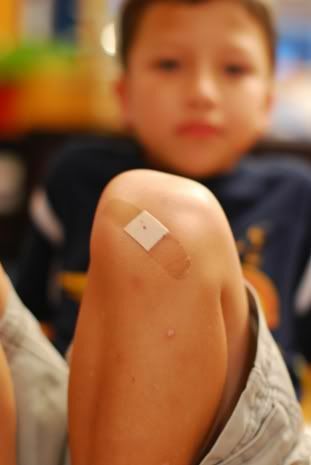 :) It's funny about your son getting wounded in Chess Club. My son is in the Chess Club, too. Chess is a very intense game for some. Maybe your son just reacted when somebody broke his concentration. Melissa and Tracy- We did like A Cricket in Times Square. But I wasn't impressed by it... not like WOW, what great literature! It didn't seem as rich or captivating as some of the other stories we've read or listened to (Dr. Doolittle, A Wrinkle in Time, Sign of the Beaver, Peter and the Shadow Thieves) and it wasn't as fun as the Mrs. PiggleWiggle stories. I read A Cricket in Times square as a kid and don't remember it. My 9 year old (then 8) sat down with it one afternoon, and I swear I didn't see him for 48 straight hours while he devoured it. So, apparently he liked it. It wasn't all that memorable to me. #10 made me laugh out loud. Your kids and ramen. Would you believe I've never made Ramen? It's like $0.13 though. Maybe I should. But dude, that's an insane amount of sodium. Just reading the ingredients makes me thirsty. never knew there were 2 last lines to the bean song. must assimilate it! and ramen... at least when they're grown and tell their wives "it's not like mom used to make it" it will be about ramen noodles of all things - she won't have such a hard time competing with mom's cooking!